For one of my bridal showers before the wedding, my awesome mother-in-law got me a terrarium (possibly because I had been not-so-subtly lusting after hers). To make a long story short: I killed it. Well, more specifically, I made it move to the garage because some fruit flies had taken up residence in it and would not leave, no matter how I threatened them. 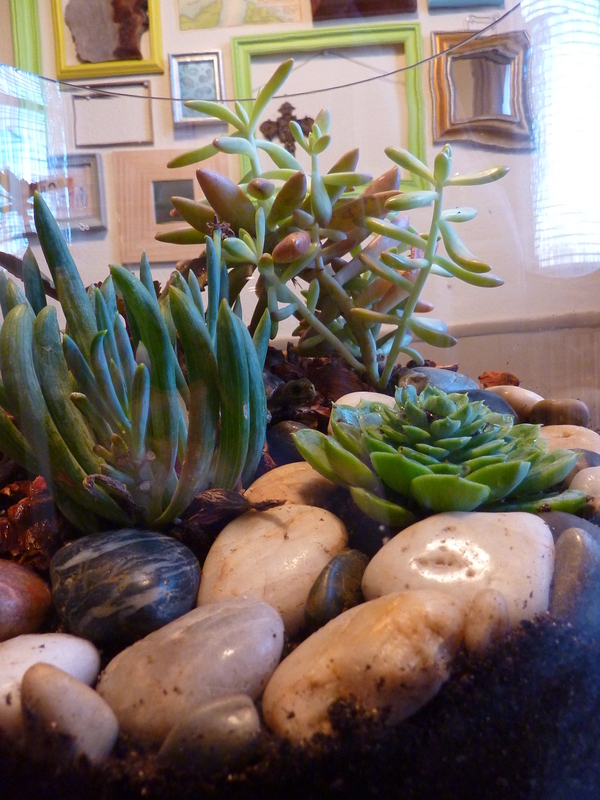 A few weeks ago, I rehabbed the terrarium and bought this lovely succulent guy from the Fulton Street Farmer’s Market. It stayed like this for a few weeks…and then an opportunity presented itself in the form of killing zombies for Home Depot coupons. Not to mention that BFF bloggers Sherry and Katie (along with Carmel and Sarah) gave me a good kick in the rear with the Pinterest Challenge. 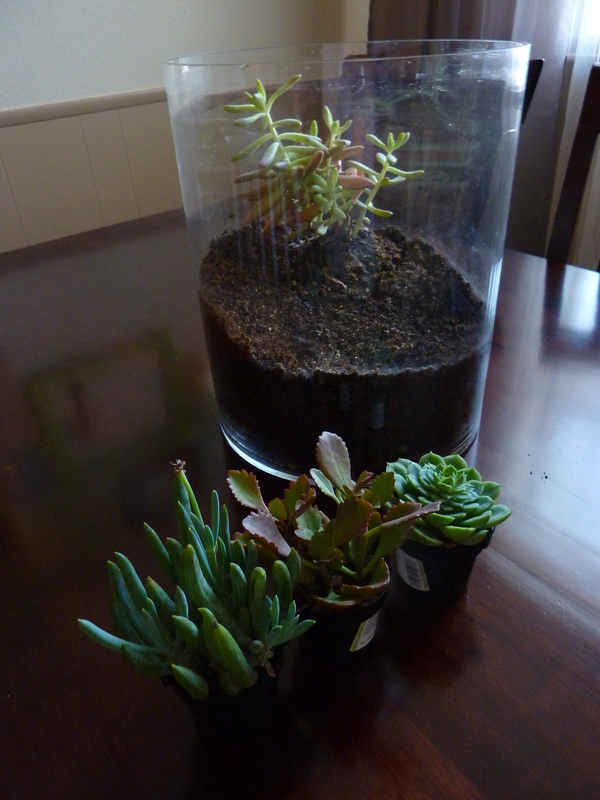 I’ve been dreaming about all of these succulent terrariums on Pinterest and it was time to make mine a reality. 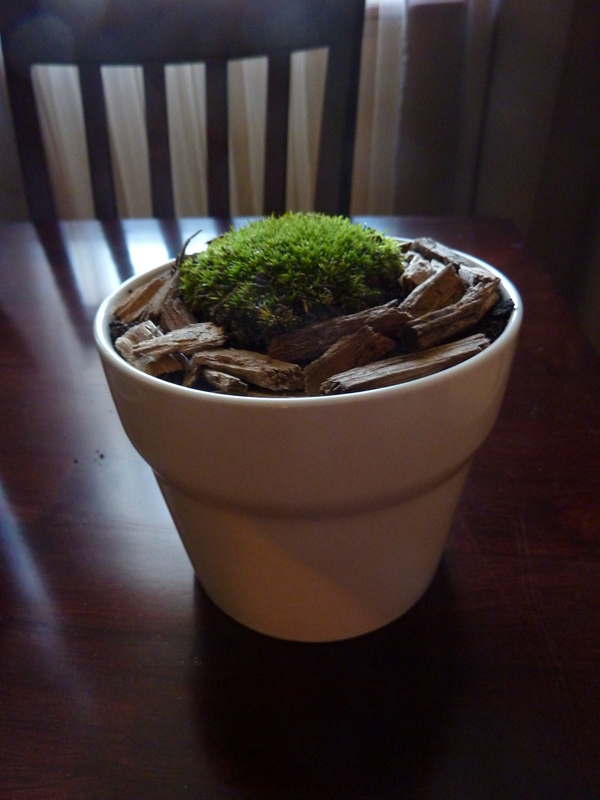 First, I had to transplant this little bit of moss. In my mind, moss and succulents don’t go together, so I made this other little planter. I can’t seem to kill this moss, no matter what I do–it’s the greatest. I plucked it from the woods while camping in early September, and it spent the next month in a Ziplock (I am a horrible plant parent) until I plopped it in the terrarium a few weeks ago. Here’s the lineup of my Home Depot succulents which, after my $10 off coupon, cost me $.46. Once I planted them, my terrarium looked like this. It still needed a bit of ground cover and a good wipedown of the glass. Voila! I put down bark on half and stones on half and used Windex on the glass (for those who are interested in the deets). 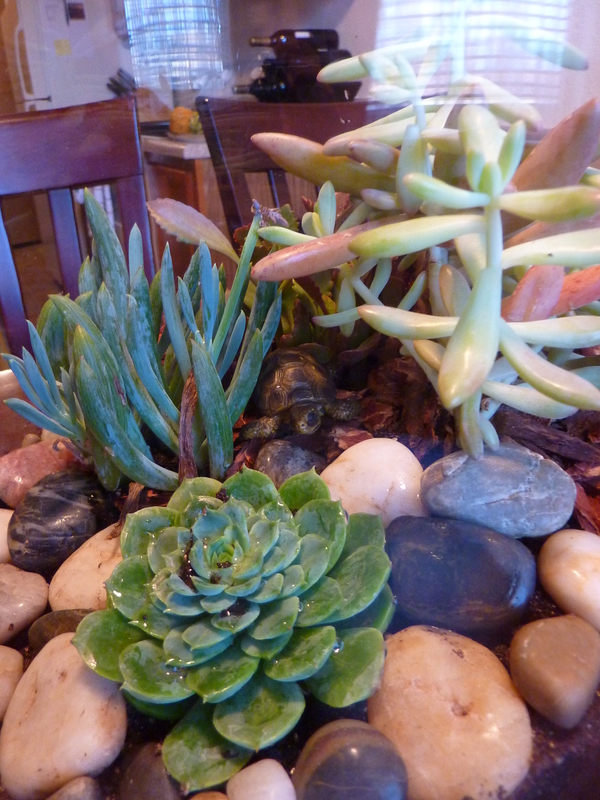 Even if I end up killing the succulents, I have high hopes that this little plastic turtle (in the center between the plants) will survive. I keep forgetting he’s there, though, and the other day when I walked past the terrarium, I nearly jumped out of my skin because there was an ANIMAL in it. Once I get used to our new pet, all will be well and I’ll be able to finally enjoy this sweet little succulent terrarium. In the meantime, I’ll be over here on pins and needles worried that this guy is going to jump out and bite me or something. Categories: DIY, Great Deals, Home Decor | Tags: Succulent plant, succulent terrarium, terrarium with bark and rocks | Permalink. I love this! I love succulents but have killed every one that has come within 100 feet of me. The little turtle is the perfect (terrifying) edition. Does he have a name? I’m pretty sure these will die under the care of my black thumb but I’m determined to enjoy them while they last. And the lil’ guy definitely needs a name. Anyone have any suggestions? Ahh! I wanted to use my zombie coupons (thanks for the heads up on that, BTW) for succulents, too! I have three flower pots from Ikea languishing in the garage that NEED succulents! I’ve got languishing IKEA flowerpots too…now I’m just debating with myself if there is a limit to how many succulents one can have. I’ve been pondering the turtle’s name all morning. Perhaps Walter? or Amos? or Leonard? I’ve always been a fan of Walter. 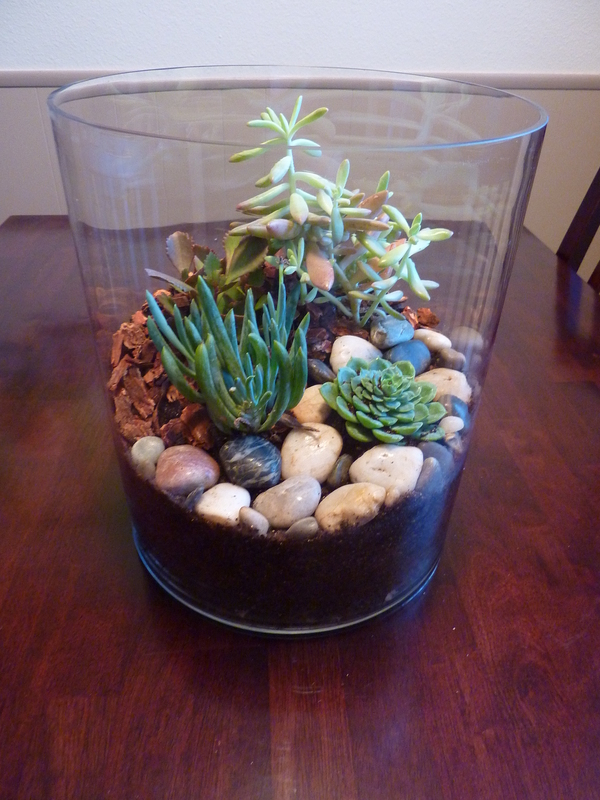 I found you on the pinterest challenge and love your terrarium. I too kill succulents, but thought maybe a terrarium would help. You made it look very easy, so I’m going to give it a try. Love this!! It’s super cute and I really love the little turtle addition. 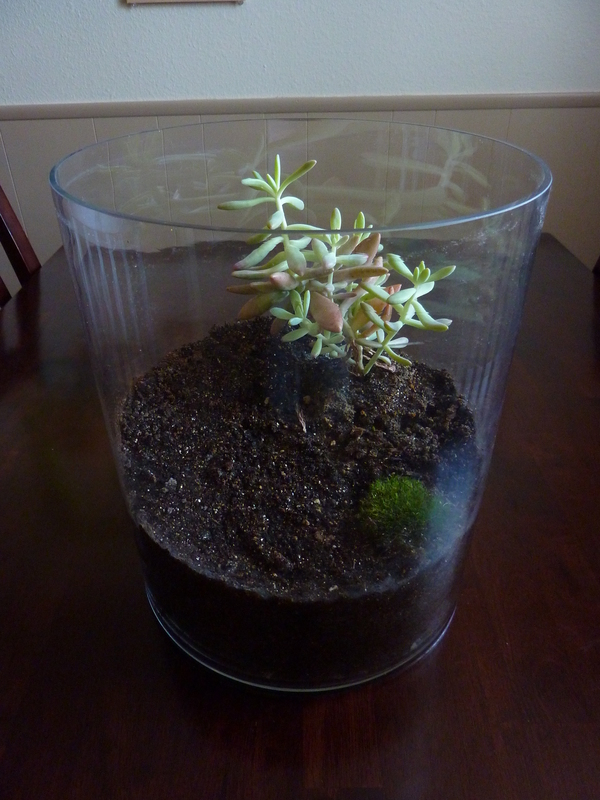 I have long wanted to make a terrarium and want to add a little t-rex toy or alien to it or something- I’m weird like that. I really love the bark pieces you added- that’s genius! I’ll be pinning this for when I attempt one later. I’ve been searching for a tiny dinosaur to go in with the turtle! He’ll soon have a friend, I hope! Great job! 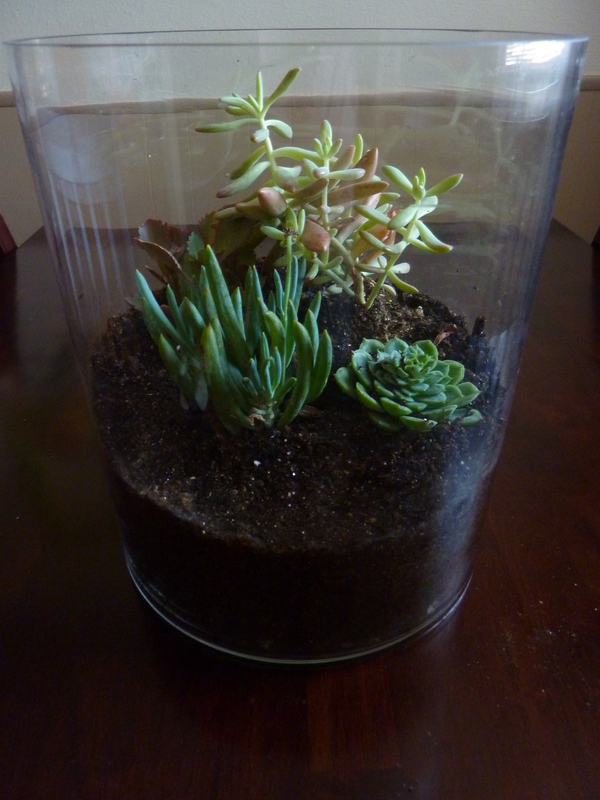 A succulent terrarium was also gonna be my project for the challenge but I hanged my mind last minute. I’m still planning on doing it though….one day. Thanks for the inspiration. Thanks! It’s been on my to-do list for a while. Looks really great. 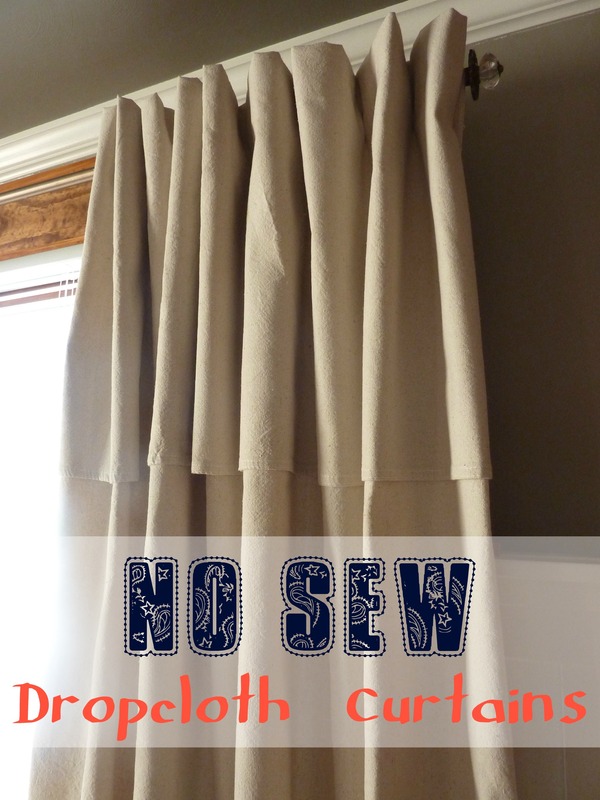 I’ve been wanting to make one of these…I love how yours turned out! 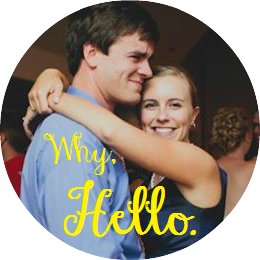 I would LOVE for you to link this up at my Ginger Jamboree Link Party!! I know! I was so excited when she posted hers!